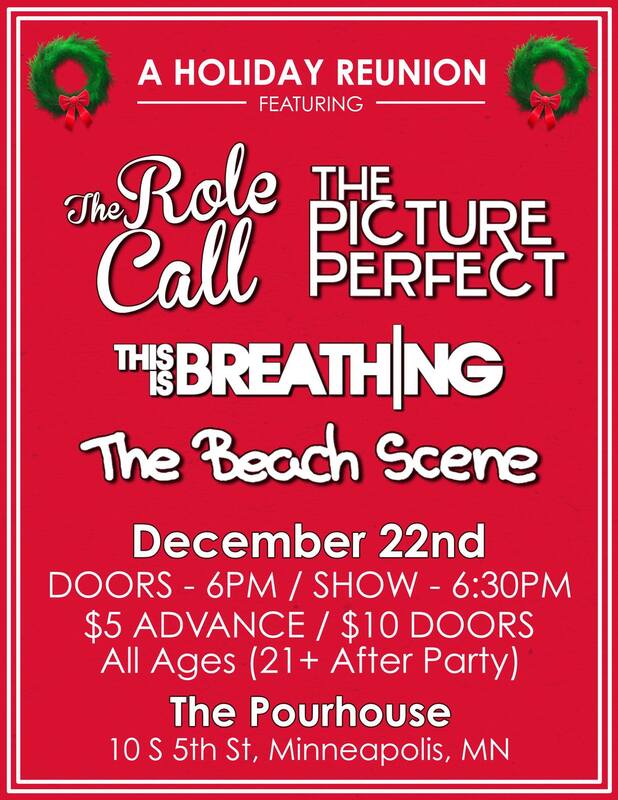 Announced today via facebook, on December 22nd The Pourhouse in Minneapolis will be hosting a “Holiday Reunion” show. This show features a lineup entirely of previously broken up bands coming together for one more show in the spirit of the Holiday season. The bill includes The Beach Scene, a poppunk band from Eden Prairie that broke up in late 2011, This is Breathing, a pop-rock band from St. Paul that broke up back in 2013, The Picture Perfect, from Eau Claire who played their last show nearly two years ago, and The Role Call, an alternative band from Minneapolis who broke up in 2014. The show will be $10 at the door and is all ages, there will be 21+ afterparty following the show. You can click here to RSVP to the show via facebook! Which band are you most excited to see back together? What other locals would you like to see reunite? Let us know!